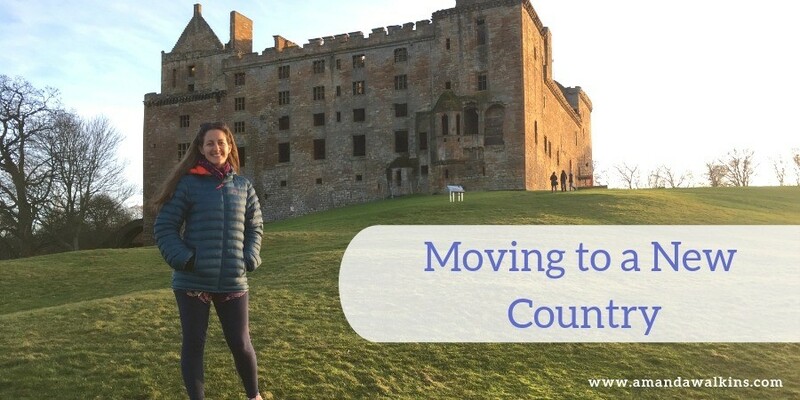 Moving to another country used to seem like a daunting prospect to me – as I’m sure it does to many of you! Whether you’ve never moved out of your hometown or you’ve been living in the same home for years, uprooting ourselves can challenge our every sense and emotion. I have learned quite a bit in the many moves we’ve already done. While this is by no means a comprehensive guide to moving overseas, I just wanted to share some of my thoughts based on my experiences. I first lived in Spain 12 years ago. It was my first foray into living overseas and I relished the opportunity to travel. I had all of Europe at my feet and plenty of weekends to traipse around. I was 20, turning 21, and I (of course) felt invincible. Moving to a new country seemed like a long time coming, having first been introduced to the concept of backpacking through Europe by my 4th-grade teacher, Ms. Elliott. Years later, it was finally my turn and I was so excited! But I was also still a sheltered kid from the suburbs. Accordingly, I didn’t like the weird food very much, I didn’t really connect with my host family, and I didn’t love the city itself. It was all just too overwhelming for my senses. My first move abroad wasn’t the romantic ideal of galavanting that Instagram might now have you believe! Instead, it was a constant barrage of new feelings associated with normal activities. The longer I was there, the more I realized that, in fact, it was overall very much like home, except for all of those little things. And those little things added up to create an entirely new experience. This new country challenged my perceptions and it forced me to consider my daily life at home in comparison with daily life in another place. Those small comparisons created an overall feeling of unfamiliarity…a lack of belonging and feeling like an outsider looking in. Nothing was so extraordinarily different, yet every small change made me hyper-aware of my surroundings. These simple, tiny lifestyle differences made me pause and wonder at my life back home versus my life here. Was one necessarily better than the other? Had I never noticed these small moments back home? That awareness drew my attention to moments and scenes from my new life that made me smile. I loved having the river to walk along in my new city. I learned to love bridges and to simply cross one for a better view of where I’d just been. And I loved the convenience of having every shop I might need along the walk between the university and my apartment. As a suburbs girl, this was monumental! I adored the old women chatting on street corners, eyeing everyone in the neighborhood with slight judgment. The laundry hanging from windows overhead in colorful layers drew my eyes up and offered a swaying greeting around every corner. Having always had a clothes dryer at home, this simple difference elicited an emotional reaction from me; it made Europe seem more romantic and traditional (cliche though it may be!). But – above all – what charmed me the most was the pure autonomy I felt like I finally fully possessed. For the first time, I truly felt the freedom to be a whole new me. And it was as terrifying as it was enchanting. That’s the thing with moving to a new country: You are forced out of your little protective shell and left exposed before the world. For some people, it’s too much. For me, I exploded with joy at each new experience. I had the chance to learn new things and to decide who I wanted to be here in this new place. I was in another country, surrounded by a language that I wasn’t confident in and a culture that wasn’t mine. I was uncomfortable at least once every single day. This perfectionist was struggling to keep up with the conversations around her. The not knowing was a full-handed slap across my face. And yet it also made me feel so alive. Nobody there expected anything of me. There were no preconceived notions about who I was or what I should be doing. For the third child in a family, that was truly revelatory! It was also my first time living in a city, where I realized that I was just another face in a busy place. I could happily melt into it and become part of the fabric. It was liberating and exciting and exhausting and debilitating and it made me feel so tiny and insignificant, yet so utterly free. That’s the dichotomy of expat life: It can make you feel like you are a part of something so grand while also reminding you just how tiny you actually are in this time and space. Every time I move to a new place, I feel like 20-year-old me, surrounded by discomfort but finding so much joy in the challenge of creating an updated – and, hopefully, better – version of myself. Moving to a new country shakes up your life in so many ways. The big things, like new housing and the language and a different environment, are obvious. But it’s the little things that minimally alter your daily life that create a lasting impact. You need to change the ways in which you interact with the world around you. It’s in not knowing where items are in a grocery store. You have to wander aisle after aisle after aisle. And then you wonder if the thing you’re looking for is not actually there or if you just missed it. Maybe it looks a little different here? Maybe it’s called something else? (I’m looking at you, Scottish English.) So you circle back and start again. Grocery shopping can become an all-day affair. It’s the feeling of confusion as you search for the right bus stop. You check the signs and double-check the app that you just downloaded because someone in that random expat group online recommended it. But – are you in the right place? Which direction do you even want to go? Where the heck are you?! And then you finally step on board the bus and the driver says something. You don’t understand, but you just smile and nod and feel like a moron because you don’t want to ask “What?” for the umpteenth time today. Instead, you give up on understanding and give in to this life of mild social discomfort and perpetual confusion. It is, after all, the expat way! But then you smile to yourself because you know that this discomfort and this confusion will fade. You know that you’ll soon fit in and melt into the fabric of this new community. And, in the meantime, watching this new world pass by through the windows is mesmerizing! Soon enough, none of this will feel so new anymore. That bus stop will become your routine commute and you won’t even notice the other people standing there. That bus driver won’t even acknowledge you because you just pay your fare as you scroll through the news on your phone. And you won’t even bother looking out the window because you’ve seen those views a thousand times before and it’s just not that exciting anymore. Once the newness fades away, you enter the mundane bits of life. You rebuild that comfort bubble with new habits and routines, and the challenges of yesterday become memories. Those challenges of moving to a new country force you to create a new life for yourself. You have to figure out how to live your new daily life, filling it with errands and paying bills and socializing. Because, remember, life is life everywhere! I find routine to be a dangerous thing. I relish this persistent need to focus that forces me awake. It shakes me into actually noticing those otherwise mundane moments. Moving abroad forces you to pay attention to every single step you take. Sure, moving to a new community in your home country can shake up your routine a little bit. But moving to a new country will completely explode that little bubble of comfort. It will make you painstakingly rebuild it, piece by piece, through countless uncomfortable and confusing moments. You’ll learn to laugh at the chaos and love it, or you’ll go back home to your comfortable routine and love that instead. A new expat home means a heightened and perpetual sense of awareness that can feel utterly exhausting. But, at the end of each confusing day, falling into bed while your mind races through each crazy moment, at least you know you lived. I dislike that glossy-eyed life of routine, the one that has us knowing exactly where to stand to get on the right subway car that will drop us at the exact exit at our destinations. Those grocery shoppers who don’t even look up? They just methodically go through only the aisles they need…and they drive me nuts. They know exactly where each item is and they don’t even bother searching for something new. It’s just: keep your head down, get the job done and get out of there. I implore you: Go down the other aisles. Get into a different subway car. Look up and look around and see who else is sharing this space and this time with you! Even better: Smile at those strangers. This world is vast and beautifully filled with unique individuals, but so many of us simply float along and ignore the wonders around us. But it is so hard to continuously observe and marvel at that which becomes routine and normal. Moving to a new country all the time shakes me out of that trap. It forces me to observe tiny details that otherwise fade into the background. I find myself charmed by small moments that never would have caught my attention back home. And I couldn’t be more thankful every time that it does. After 11 years, I finally returned to Spain to live for a short while. It felt like a homecoming of sorts, like I’d made it full circle. It felt somewhat familiar but still so foreign and surprising. It also awakened that language part of my brain finally, which felt so damn good! From Spain, we’ve returned to Scotland, which is another familiarly foreign home for me. This return also felt like a homecoming and we slipped into old habits quite quickly. It’s something I’m fighting at the moment, for all the reasons I outlined above. But in a familiar-enough place, it can be hard to constantly see things anew and to regularly challenge ourselves to explore and to learn. It’s a real challenge, but it just requires that we try a little harder and we fine-tune our focus. After so many country moves, I struggle when I feel myself becoming stagnant. My mind and heart crave adventure and variation. I found that variation in the sea in Honduras and in Malta, and again in the mountainscapes of Ecuador and of Spain…now I’m searching for it in my daily Scottish life. Life here feels so similar to life back home, so this is a welcome challenge to keep my senses heightened and to purposefully, proactively observe the tiny differences and those small moments that make up a life. Who knows what will come next for us. But I’m open to anything! I’ve learned through all these country moves that the unknown and those unforeseen challenges make me a better version of myself each and every time. So, bring it on, Scotland! I’m ready for you this round. I’ve been an expat in multiple countries, including Honduras, Ecuador, Spain, Scotland, Ireland, and the Mediterranean island of Malta. We spent last summer in London housesitting with lots of adorable cats and dogs. Then, we lived in Spain while housesitting for friends with goats, chickens, a kitten, and some of the most gorgeous countryside I’d ever seen!